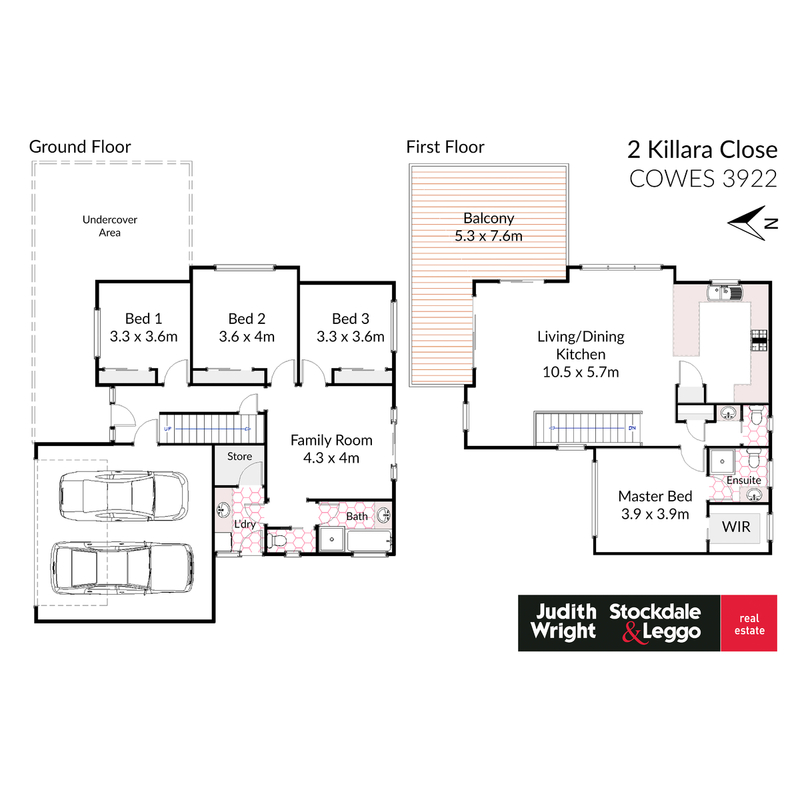 This stunning home features spacious living areas, 4 bedrooms, 2.5 bathrooms and an open plan kitchen, dining and lounge which extends out onto a beautiful deck with views overlooking the yard. With so much space, there is plenty of room for the entire family or even 2 families! The lower level offers 3 spacious bedrooms, all with build in robes, a generous family room with split system, a beautiful family bathroom and the laundry. The upper level offers a master bedroom with spacious en-suite and walk in robe, an additional powder room and a living area designed for relaxing with a glorious glass fire place! The generous well-appointed kitchen makes cooking a pleasure with its stainless steel appliances, gas cooktop and extensive bench space. The beautiful dining room is set next to a big window so you can dine in the sunshine. The property boasts a double garage and is ideally located on a corner block in a private close. The rear yard is fully fenced with side access, perfect for secure boat or caravan storage. Enjoy all that the island has to offer in this beautiful beach home. Book an inspection today!